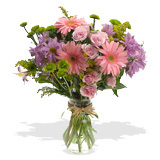 Congratulations Roses When you want to express your congratulations, roses are a wonderful choice. Choose congratulation roses in the recipient's favorite color, or choose a stunning yellow congratulation rose bouquet which oozes brightness and cheerfulness. When it comes to acknowledging a special achievement, giving someone a congratulations flower is a great way to show your pride in the accomplishments of the special person.